WordPress is one of the most popular Content Management Systems (CMS). It's primarily known as a blogging platform, but you can use it to build a static website thanks to the "Pages" feature. This is a very quick overview of how to setup a WordPress site, but if you want a comprehensive guide that helps you with topic choice, making money, search engine optimization, menus, and more check out my WP Starter Guide WordPress Tutorial. 1) The first thing you need to do is install WordPress on your domain. Need a domain name? You can get one here. If you want your blog to be installed on the root of your domain (abc.com) then you won't need to do anything prior to installation. However, if you want your blog to appear inside a folder or on a sub domain (abc.com/blog or blog.abc.com) then you'll need to insert the name of the folder upon installation. 2) Next, you need to login to your web hosting account. Almost all regular web hosts have WordPress installers through cPanel or cPanel-like platforms. Once you sign up for a hosting account, open your cPanel area (or look for the Applications). Under "Blogging" select the option to install WordPress. Note: If you want your blog to be installed inside a different folder (abc.com/blog), make sure you select the folder prior to installing. By default, the blog will be installed in the root. 3) Follow the prompts and create your password. Be sure to choose a very strong password (10+ characters, upper and lowercase, numbers, symbols, etc.) The number one reason WordPress blogs get hacked is because of weak passwords. 4) WordPress is now installed and you're ready to begin publishing content. You should now be able to go to the main login area yoursite.com/wp-admin/index.php - Be sure to bookmark this page! Now that you've installed WordPress, it's time to get familiar with the Admin panel. Start by navigating the main tabs on the left side of the screen. This is where you can get a quick view of what's happening with your blog. View recent comments, traffic stats, any theme updates, WordPress news and more. Posts are the primary content of your blog and where you go to add new content. With most WordPress themes, Post content is sorted by date and category by default. So before you begin writing, you may want to take some time to setup some categories for your blog. Let's say you have a fashion blog. You could go to the "Categories" section under "Posts" and setup 4 categories - Casual, Formal, Business Casual and After 5. Now when you begin creating new content, you can select which category the post will fall into. The media section is where you go to upload images and video. You can either upload them from this area or you can do it directly from the "Edit Post" area when you're creating a new post or page. You can use the Links feature to further organize your content. Let's say you want 3 of your posts to appear under a heading called "Fashion No-No's." You plan to highlight these 3 posts in the navigation of your blog using that heading. First, you would create a "Link Category" for these pages called "Fashion No-No's". Now go to "Add New" under the "Links" category. For each post you want to appear in this category, you paste the full URL/address of the post and assign it to the "Fashion No-No's" category. I am using the Links feature on my blog. Look in the right column (scroll down) where it says "Must Reads." This is a Link Category I created for my important posts. You may remember that Posts are automatically displayed on your blog in chronological order. Pages are for timeless content that you want to display indefinitely. An About Me or Contact Us page would be an example of an instance when you'd want to create a page. The Comments area allows you to view, edit, and delete visitor comments. This is where you manage the overall and look and feel of your blog. Go here to find a new theme design for your blog. Widgets allow you to easily arrange various elements of your blog. Remember when I explained how to create the Link Category of "Fashion No-No's" above? Well you can look for the "Links" Widget and drag it onto your sidebar to display this link category on your blog. You can do the same for other widgets such as the Calendar, Categories, Archives, etc. Once you drag the widget over to the sidebar of your blog, you can edit the title, text, etc. Your theme probably comes with a default navigation menu, but you may want to create a customized menu that consists of various posts, pages, categories or links outside of your blog. For more details on how to setup your menu, see the WordPress Codex site. This is where you can manually edit the actual files of your WordPress theme. Say you want to edit the header of your WordPress blog. You would need to edit the header.php file to make these changes. Note: Always make a backup of the code before editing and saving your files. Plugins are scripts that give your blog additional functionality. Let's say you want a widget that will allow you to display your most commented posts on your blog's sidebar. You can click the Plugins tab and select "Add New." In the search box type "most commented widget." You should see a list of plugins. View the details and when you find one you want to install, select "Install Now." Now when you go to your Widgets area, you should see the "Most Commented" widget available for you to drag onto your blog sidebar. I am using this widget on my blog. See the right hand column. I labeled the widget "Most Popular." Note: Some plugins may require activation or recommend that you edit personal settings before they work properly. Many plugins automatically create new categories or sub categories in the left navigation of the WordPress Admin panel. Plugins are a great way to enhance your blog. There are thousands of free plugins for you to choose from. WordPress allows you to create additional authors/contributors for your blog. This is where you go to create their account and set appropriate permissions. You can export or import posts from this area. If you are moving from Blogger (or another platform) to WordPress and need to import your posts, click the "Import" link and follow the instructions. If you are leaving WordPress and/or switching web hosts and need to export all your blog posts and comments, select the "Export" feature. 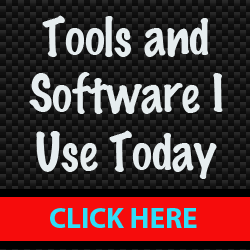 You may also find links to plugins you have installed in the Tools category. This is a very important section of the WordPress Admin panel because you will setup basic information about your blog such as: your blog title, description, link structure (permalinks) privacy settings, comment settings and more. I will be very honest here. If you don't know much about HTML, PHP and CSS or you don't have a user-friendly theme then customizing your blog design outside of the original design may be a challenge. Before I started blogging, I created static websites so I learned a lot about HTML and CSS. Static websites are much, much easier to edit and learn from because the code is not as complex. So I'm very thankful for that former education now that I have a blog. Nevertheless, I will do my best to help you learn how to customize your blog. A child theme inherits the functionality/framework of the original theme but allows you to modify and add your own custom elements. It's like making a copy of a theme and working from the backup. I highly recommend you consider this when working with WordPress. That way you preserve the original theme. Read more about creating child themes here. The most important thing to understand here is that every WordPress theme is different because they are designed by different people. So one set of instructions is not going to apply to everyone. I often get very specific questions about editing a specific blog theme and it's very hard to answer because the code is different from blog to blog. This is the most important file on your blog because it governs the design and various styles of your blog (link color, link size, font family, column widths, etc.) If you go to the Appearance tab of the WordPress Admin panel and select "Editor", You should see a file called style.css over in the right column. This is your blog's stylesheet. To edit the stylesheet, you simply click on style.css. It will open up the file right inside WordPress. Note: Before editing, I would strongly recommend copying and pasting the code into a text editor so you have a backup. Use the find feature (Control-F/Command-F) keystroke and search for the word header. Your code probably won't look exactly like this but there is more than likely a #header ID somewhere in the code. This tells the browser how to style your header. In the example above, the image called header.gif is what makes up the header of the blog. Here's a more detailed tutorial on customizing your WordPress Header. Most WordPress themes store images in a folder called "images" located right inside the WordPress theme folder. The easiest way to find out where your images are stored is to right-click your mouse over an image that came with your theme and select "View Image." I like to keep all my theme images in the same folder and highly recommend you do so too. So when you upload new images, you should place them in the same folder. Once you've created your new header and you're ready to upload it using an FTP program (or you hosting file manager) to save the new image to the appropriate folder on your host. If you overwrote the existing header image by giving it the same name then all you have to do is upload a new header image and overwrite the existing one. If you need a visual of what I just explained above, this video will help. If you are a Firefox user, you should install the Firebug addon. This will allow you to see what files you need to edit on your blog. If you want to customize your blog even further, check out the WordPress Codex site. They teach you how to manipulate the WordPress code to display content in different ways. For example, say you only want to display some of your categories and exclude a few. They show you what code you need to paste into your blog to make that happen. You may not like the idea of paying for a WordPress theme, but when it comes to designing, premium themes often provide the most beginner-friendly tools and support for editing your core design. Free themes are nice, but you have no support and the code is often buggy. 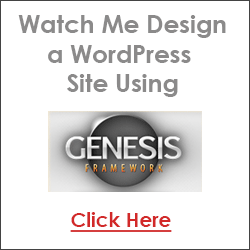 I use Genesis and this theme has a free plugin you can install that allows you to edit various sections of your design right inside the plugin. For example, if you want to add a banner below your blog content, you just paste the code for the banner in the appropriate box marked "After Blog Post" instead of digging through the PHP files in the Admin panel. Plugins can greatly enhance your blog. As I mentioned on the WordPress Admin overview page, to install a plugin, just go to the "Add New" link under the Plugins tab in the WordPress Admin panel. You can use the search function to locate plugins by keyword. Note: Be careful not to go crazy with plugins because they can also slow down your page loading time. I personally don't like to have any more than 15 active plugins at any given time. Also, sometimes they can cause instability with your theme and will require you to troubleshoot by disabling them. This is another reason you should limit the amount you use. This is the only SEO plugin I use. A lot of people install multiple plugins as if that's going to give them an added benefit with search engine rankings. I think it's a waste of time. All you need is one solid plugin to create your sitemaps and allow you to optimize your titles and descriptions. The rest is up to the your individual promotion strategies (social media, etc.) and popularity of your blog. There is no magic or secret to SEO. Today your rankings largely depend on your popularity -- more so than stuffing keywords and installing plugins. Your database stores your posts and comments so it's a good idea to make sure you backup regularly. This plugin can send your backup copy to your email address on intervals you specify. This plugin allows your commenters to subscribe to the comments of certain posts. They will receive an email when a new comment is made. A great way to build repeat traffic. Askimet is still probably the most popular anti-spam plugin, but GASP is digging into its market share. Askimet is notorious for marking comments as spam when they are not, so many bloggers have switched to G.A.S.P. This plugin helps your pages load faster by generating static and loading static files instead of dynamic (PHP) files. This plugin will randomly send out your archived posts to Twitter. A great way to keep your blog on everyone's radar. Because WordPress saves your revisions for each post, they can really add up and bog down your database. Use this plugin to clean out your revisions, deleted comments and spam. Keep spambots from sending you spam through your contact form with this plugin. It randomly generates a 4-character code that people must enter before using your contact form. Keep visitors on your blog longer by highlighting related posts. This plugin will add a list of related posts after your content.